The rumors were true… We’ve updated the details on how many concurrent trading bots you can are able to run with the Beginner and Simple licenses, the Advanced license remains unchanged. One common complaint we’d often hear is how you wanted to be able to run more of the same bots at once, but you were being limited by the per bot restriction. Well, we’ve removed the per bot limitations and replaced that with a global concurrent bot limit. For instance, if you had a Beginner license and were already running 2 scalper trade bots on exchanges, you would not be able to run a 3rd scalper trade bot on any cryptocurrency exchange at the same time. You were previously limited to 16 total concurrent crypto trading bots and could only run 2 of each available trade bot at the same time. Curious as to how some of our trade bots work? Well subscribe to our YouTube channel and watch our high-quality videos that are updated regularly. Running a successful trading strategy is no easy task, so don’t go alone. If you have questions or simply want to give back to the community head on over to our Discord or Telegram channels. Haasbot 2.2 Beta Build 1 has been released! 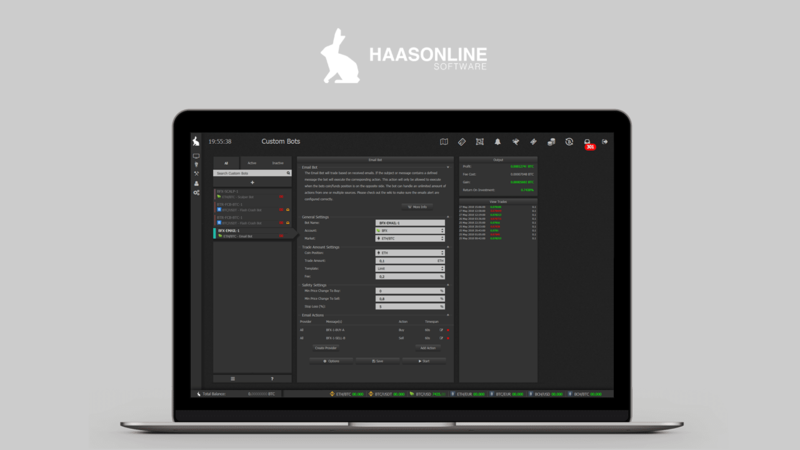 Haasbot 2.3 Beta Build 5 has been released! Haasbot 2.2.5 has been released! Haasbot 2.2.2 has been released! Get tips, tricks, software & feature updates, and coupon codes.